Labor has been steadfast in its opposition to the government’s school funding plan. Malcolm Turnbull is on the brink of a major policy victory after the government mustered ten of the 12 non-Green crossbenchers behind its Gonski 2.0 policy. The outcome of a week of intense negotiation by Education Minister Simon Birmingham means, barring mishap, the government is set to end this parliamentary sitting on a strong note, at least in policy terms. The Coalition remains in a bad place in the polls. The new model for schools funding will be much closer to the original needs-based one recommended by the Gonski review, the implementation of which was compromised by a plethora of special deals. In electoral terms, Turnbull hopes the schools policy will at least partly offset Labor’s usual strong advantage in education. But the fight over schools will still be on, because Labor will be promising a big extra boost to funding. To get its legislation through, the government has shortened the time frame for delivering funding targets from ten to six years; boosted by $A4.9 billion to $23.5 billion the amount of additional money that will be spent over a decade (including $1.4 billion over the next four years); agreed to establish an independent body to oversee the funding; and endorsed a tight arrangement to prevent states lowering their share of school funding. In a gesture to a deeply agitated Catholic sector, the government will provide transitional money for it next year, while a review is undertaken of the basis for calculating how much parents should be expected to contribute. Some money will also be available for schools that are part of systems in the independent sector. This is being couched as transition money so that all systems will come under the new model from the 2018 start. The transition money will amount to $46 million, $38 million for the Catholics. But the Catholics, who benefited from the previous special arrangements, remain angry. The future political implications of this are yet to be seen. On Wednesday night National Catholic Education Commission executive director Christian Zahra said that commission representatives had just met with Birmingham who “set out the minor changes” he proposed in response to the Catholics’ “very serious concerns”. But the commission’s position hadn’t changed: the bill “still poses an unacceptable risk to the 1,737 Catholic schools across the country” and should be defeated. The outcome has left the Greens caught badly short, exposed as under the thumb of the powerful teachers union, the Australian Education Union (AEU). The government negotiated simultaneously with the Greens and the other crossbenchers. But the Greens were split, unable to finalise a deal even though they did most of the heavy lifting in extracting some major changes and additions to the government’s original $18.6 billion plan. The result is they’re in the worst of positions. They are unable to claim victory in delivering the more needs-based system. But they have raised the ire of some of their supporters for attempting to reach agreement with the government. As soon as it knew it had the numbers with the other crossbenchers, the government – unsurprisingly – brought on the second reading vote on the legislation in the Senate. Greens leader Richard Di Natale said he was disappointed the government had stitched up the deal with the other crossbenchers. The Greens had still been negotiating when the second reading vote was called. “We thought those talks were progressing really well when out of the blue, the bells rang,” he told reporters. He said the Greens were proud that what they did through their negotiations “was to raise the bar”. But they could not support the “special deal” for the Catholic sector, and had wanted more money for disabled children. The government is relying on getting the votes of Pauline Hanson’s One Nation, the Nick Xenophon Team, Jacqui Lambie, Derryn Hinch, and Lucy Gichuhi. Labor has trenchantly opposed the government’s package, saying the $18.6 billion is $22 billion short of what schools would have received under the ALP’s policy. 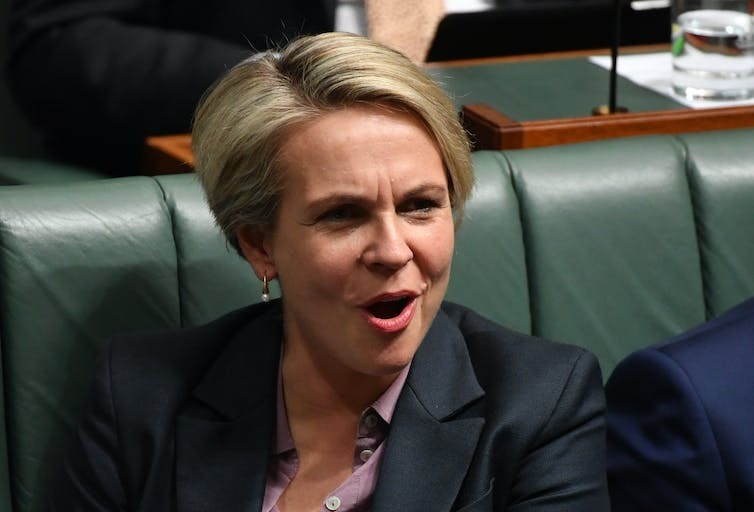 The opposition’s schools spokeswoman, Tanya Plibersek, says a Labor government would keep the parts of the package that “are practical, like an independent schooling resource body”. It would also retain the cuts to elite private schools. But Labor has not spelled out how a Shorten government would alter the new model it would inherit and fund more generously. It says Gonski 2.0 is flawed because it entrenches a skew in federal funding towards non-government schools (traditionally funded by the federal government, which is only the minor funder, compared to the states, of government schools). But that doesn’t deal with the issue of how a Labor government would handle the Catholics. Labor has taken advantage of the Catholic rebellion. The Catholic sector, having lost the old special deals, would be anxious to extract some new ones from an ALP government that had extra dollars to put around. So, will Labor give the Catholics any undertakings that in power it would rectify the wrongs it alleges the government will do to the Catholic system? If it won’t, what will be the response of the Catholics? If, after the dust settles from the Turnbull government making the tough changes, Labor broadly accepts the new model as a basis for its own planned funding, it will have a sound policy position but questions to answer about disingenuous claims we have heard from it in this debate. Mental health remains chronically underfunded. 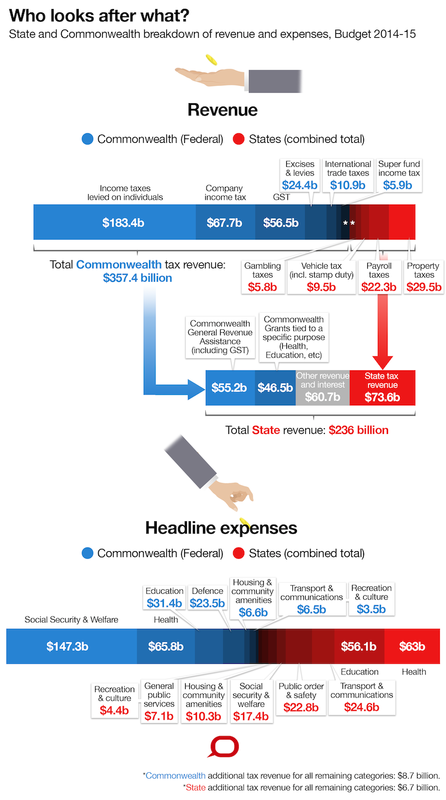 This week’s federal budget allocated A$115 million in new funding over four years. This is one of the smallest investments in the sector in recent years. For instance, the Council of Australian Governments (CoAG) added more than $5.5 billion to mental health spending in 2006. The 2011-12 federal budget provided $2.2 billion in new funding. This compounds a situation in which, in 2014-15, mental health received around 5.25% of the overall health budget while representing 12% of the total burden of disease. There is no reason those figures should exactly match, but the gap is large and revealing. They speak to the fact mental health remains chronically underfunded. Mental health’s share of overall health spending was 4.9% in 2004-05. Despite rhetoric to the contrary, funding has changed very little over the past decade. We lack a coherent national strategy to tackle mental health. New services have been established this year, but access to them may well depend on where you live or who is looking after you. This is chance, not good planning. Outside of primary care such as general practice, or Medicare-funded services (such as psychology services provided under a mental health care plan), mental health services in the community are hard to find. An encouraging aspect of this year’s budget is the government’s recognition of this deficiency. The largest element of new mental health spending was a commitment to establish a pool of $80 million to fund so-called psychosocial services in the community. Australians with a mental illness such as severe depression, eating disorders, schizophrenia and post-natal depression resulting in a psychosocial disability, including those who had been at risk of losing their services during the transition to the NDIS. Yet, the money is contingent on states and territories matching federal funds, meaning up to $160 million could be made available over the next four years if the states all chip in with their share of $80 million. But this commitment was made “noting that states and territories retain primary responsibility for CMH [community mental health] services”. Whether the states agree is another matter. 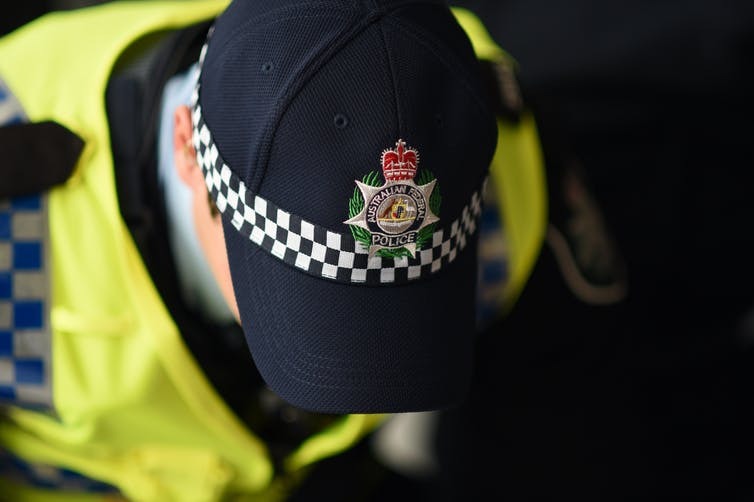 This new funding seems partly a response to the federal transfer of programs such as Partners in Recovery and Personal Helpers and Mentors to the National Disability Insurance Scheme (NDIS). Both these programs offered critical new capacity to community organisations to provide mental health services and better coordinate care. Partners in Recovery was established in the 2011-12 budget with $550 million to be spent over five years. Personal Helpers and Mentors (along with other similar programs) was established in the same year with $270 million in funding over five years. With these programs now (or soon to be) cordoned off to recipients of NDIS packages, the 2017 budget measure appears to be designed to offset their loss. However, not all states may choose to match the federal funds. And some may choose to do so but try to use new federal funds to reduce their own overall mental health spending. States already vary in the types of services they offer. All this raises the prospect that people’s access to, and experience of, mental health care is likely to vary considerably depending on where they live. In a budget espousing fairness, this is a recipe for inequity. 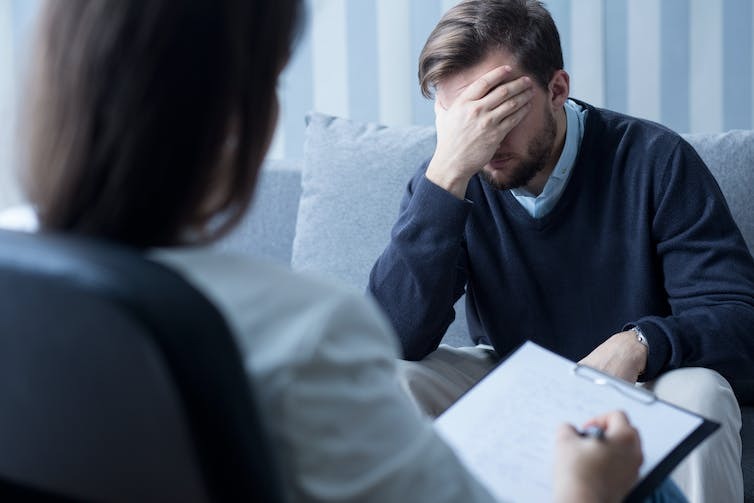 The budget does attempt to improve the uneven distribution of mental health professionals by providing $9 million over four years to enable psychology services to rural areas though telehealth. It’s well known mental health services in the bush are inadequate. This investment seems sensible, but $9 million pales in comparison to spending on the Better Access Program, which I have calculated to be $15 million each week. This program provides Medicare subsidies for face-to-face mental health services under mental health care plans. While this program is available for those in rural areas, accessing it is more difficult than in cities. This budget’s commitment to mental health shows a lack of an overarching strategy. Rather than offering a coherent approach to mental health planning, this budget continues Australia’s piecemeal, patchwork structure, where the system is driven mostly by who pays rather than what works or is needed. The development of a national community mental health strategy would be most welcome now. This would demonstrate how the primary and tertiary mental health sectors will join up to provide the blend of clinical, psychological and social support necessary to finally enable people with a mental illness to live well in the community. You could be forgiven for thinking that, albeit slowly, the well-known problems in mental health across Australia are being addressed. But the small pool of funding in this year’s budget says otherwise. And the lack of coherent strategy is a shame. You can’t complete a jigsaw puzzle if you keep adding new pieces.